This is .22 Mag. 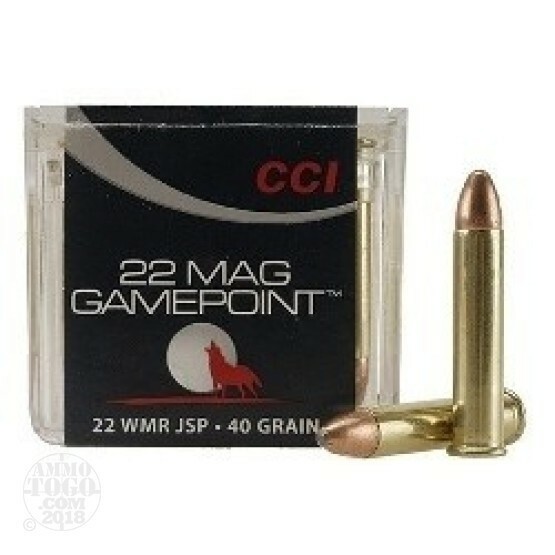 CCI Gamepoint 40gr. Jacketed Soft Point ammo. This ammo has a velocity of 1385 fps and energy of 170 ft lbs at 100 yards. GamePoint is perfect choice for small game hunters who want big-game bullet performance in their 22 Win Mag. This ammo comes packed in 50rd boxes.